Playdates are, in a way, like any other kind of date. When they go well, you (as the parent) want to sing a little song and do that move where you jump sideways and kick your heels together in mid-air. (There will be no eating lunch alone in the library for your kid!) When they go badly—like when one child hurls insults at, hits or openly despises the other in front of the woman who gave him life, it kinda feels like you’ll be scarred for the rest of yours. But we have a genius antidote to all the social awkwardness (courtesy of our son’s seasoned former nursery school teacher): Cap the playdate at 45 minutes. Max. “End on a high” were her exact words. Being a part of a team, whether it is a sports team or a debate team, can cause the competitive side of children to surface. There is value in talking to your child about being a good sport both in winning and in losing. Emphasize the old saying, “there is no I in team.” Explain to your child that teams work together, win together and sometimes lose together. Learning to display good sportsmanship both when winning and when losing is a valuable life lesson. Our natural reaction is to be excited about winning, which sometimes can result in bragging. The act of being happy without bragging to others is an important skill. Our natural reaction to losing is to be upset, and this may cause us to place the blame on a someone. The skill is remembering that it is okay to be upset without blaming yourself, your teammates or members of the opposing team. As parents, we see our children as MVPs (and of course they are), but we should support our children and teach them to be happy for the winning team and be humble when their team wins. 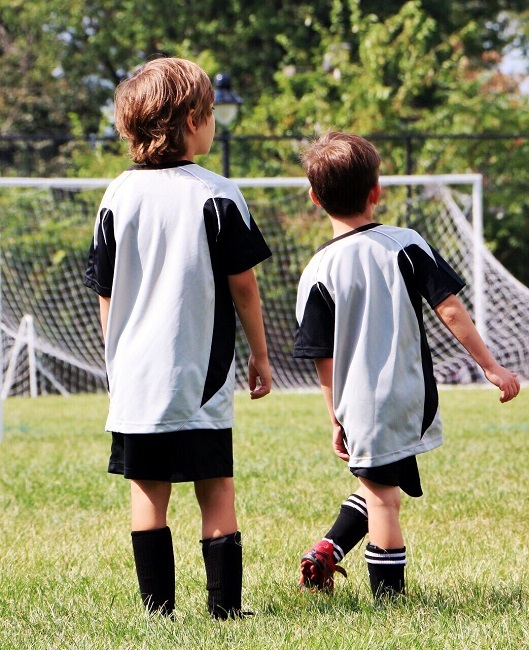 A great strategy is to encourage your child to move forward and start preparing for future games. When your children sign up to be on a team, remind them that winning is not the most important goal. It is more important for them to do their best and to work with the other team members to create a fun environment for all the children, their parents and the community. 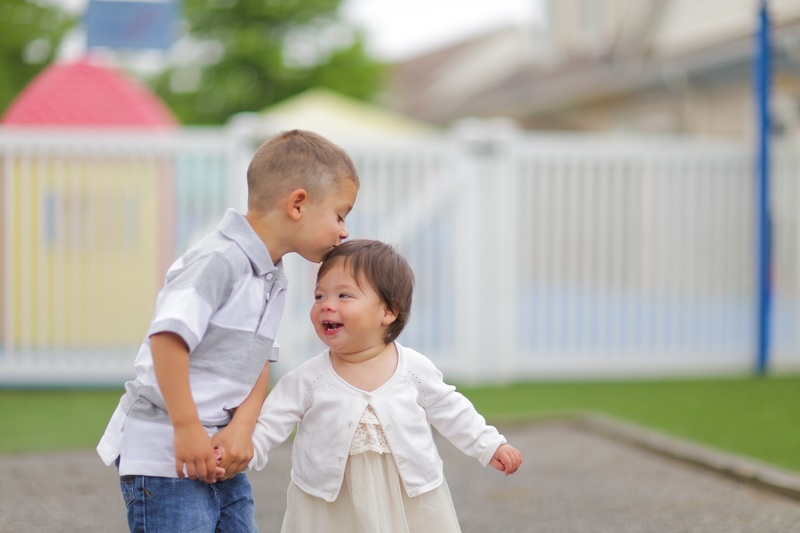 When children outgrow the ‘mine’ stage and begin to share with others and make friends, these new friends will occasionally argue over a toy or game. As parents, we are often tempted to solve the problem for our children or talk with the other child’s parent. While this may calm things down for the moment, it does not help our children learn the give and take of a friendship. Help children learn to solve problems themselves with the following proven steps. Be nearby. Watch and guide the children as they solve conflicts. Once the children resolve the conflict, step in and praise the children. Having an adult close by puts the children on their best behavior, and developing good social skills leads to fun and enjoyable play dates with friends. Don’t overwhelm your child with play dates. Hold your first play dates with friends your child feels comfortable with and have several activities ready. 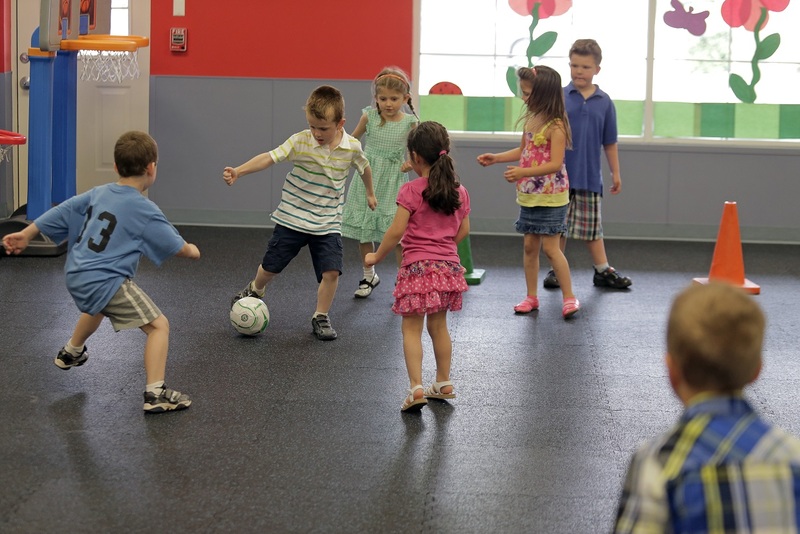 During the play date, let the children choose which activity to do. Have bedtime talks and read stories. Talk about the friendships your child is building and read books on friendship. 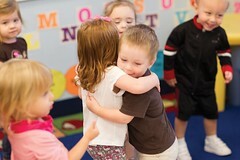 Children learn how others cope in social situations through stories.